Among all of the activities and attractions available for your enjoyment at Big Bear Lake, fishing can be the most relaxing. It is certainly one of the most popular pastimes in Big Bear! Whether you decide to go by charter boat or prefer to set off on your own, there are a number of marinas and fishing spots that are perfect for freshwater anglers of all types. Read on to learn more about where to go for the best catches and greatest fishing adventures. As the world’s largest man-made lake, the 73,000 feet that comprise Big Bear Lake contain a myriad of fishing spots. Several premier spots include the East and West Ramps, the area near Big Bear Marina, most places along the Alpine Pedal Path, the Stanfield Road cutoff from Big Bear Boulevard to North Shore Drive, Boulder Bay, and the area between Big Bear Marina, the Solar Observatory, and Grout Bay (which is great for bass fishing). Big Bear Lake is stocked yearly with tagged fish, which can also be caught from the bridge walk east of Stanfield Cutoff, as well as from the dam on both sides of the lake. Charter services can be found through Big Bear Charter Fishing, Fish Big Bear Charter Service, Captain John’s Marina, Big Bear Fishing Adventures, Big Bear Marina, Holloway’s Marina, Pleasure Point Marina, and Pine Knot Marina. Fishers of all types have plenty of options to choose from for guidance and adventure! Popular fish in the area include rainbow trout, largemouth bass, Northern bass, channel catfish, bluegill, pumpkinseed, and crappie. Bait and tackle can be found at Holloway’s Marina and Big Bear Marina, making it especially convenient if you choose to fish near those marinas. The vast majority of our luxurious, well-kept cabins have direct lake-front views and access, making them the ideal choice for fishing trips and more! 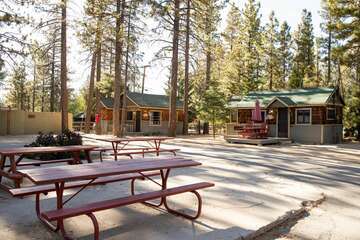 Ask our dedicated team of reservation specialists for additional information on all that there is to do and see around Big Bear Lake. They’re more than happy to provide you with a local insider’s knowledge of the area! 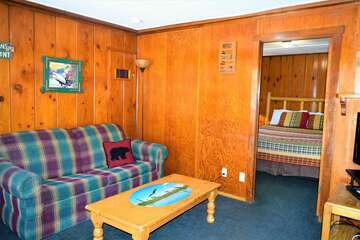 At Big Bear Cabins, we pride ourselves on our commitment to ensuring that you have the vacation of a lifetime in our gorgeous area. 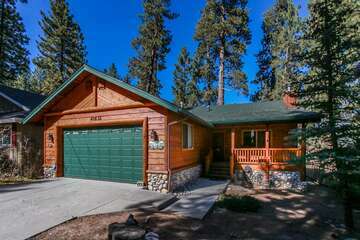 Contact our office today to find out how we can help you plan your next vacation and to reserve one of our peaceful cabins on Big Bear Lake!